Now, circa 2018, the founders of the AMA and its champions from the musical and executive side can look at the past two decades with no small pride and validation that the groundswell did indeed arrive. Americana artists like Margo Price and Jason Isbell, artists who’d only have had country radio to expose their music without an Americana home, are selling competitively with mainstream country and filling large venues nationwide and overseas. This week's conference is where you'd have the best possible chance of catching the next Margo or Jason on their way up. 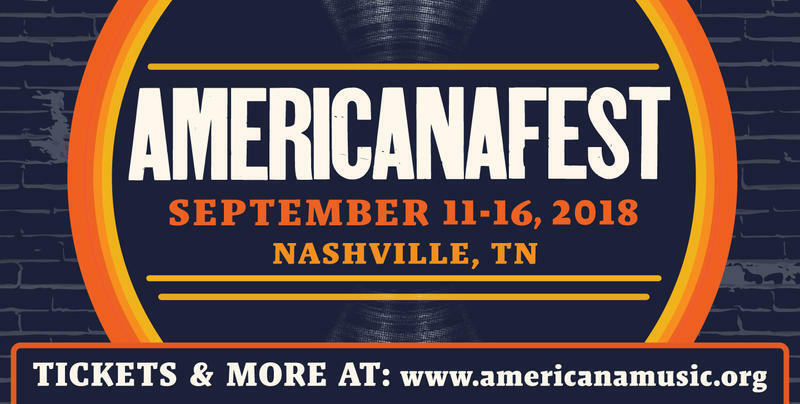 Last year’s AmericanaFest saw an aggregate attendance of 51,000 people with 500 performances across 57 venues, according to AMA. This year, the organization modestly scaled back official showcases for the first time, to manage growth and sprawl. But there’s every reason to expect a hypercharged five-day extravaganza with difficult choices and a cornucopia of music from the new and the proven. Here are some of the unique events the WMOT team is looking forward to. Most are priority access for registrants and wristband holders, with limited paid entry at the door for the public. Please look up on a case by case basis. Today initiates five days of afternoon music, hand picked by program director Jessie Scott, at the comfortable Local just off West End by Centennial Park. Today's artists include Will Hoge, Ruston Kelly, Paul Thorn, Nicki Bluhm and Mike Farris. Hours vary by day but a full report and schedule is HERE. You’re part of the music at this special event. Nobu Adilman and Daveed Goldman, will teach the audience an original arrangement to one of the special guest's songs before he or she makes an appearance to sing with the newly formed choir - that's you - in a one-of-a-kind immersive musical experience. Choir! Choir! Choir! is a Toronto-based singing group, that has amassed a dedicated and passionate community of singers and a thriving international fan base on YouTube. Free public entry. Presented by Guitartown and Sin City, this opening night event celebrates and showcases artists who are speaking out in song on social and political themes in troubled times. Host bands are Chuck Mead & The Grassy Knoll Boys, Whiskey Wolves of the West, and Andrew Leahey and The Homestead. They’ll be joined by Will Hoge, Mary Gauthier, Ian Moore, Jaime Wyatt, Brian Wright, Susan Marshall, Tim Easton, Sam Morrow, Sugaray Rayford and more. Rick Hall’s contributions as a studio entrepreneur and producer are cherished by anybody who loves American music. He made Muscle Shoals the powerhouse creative center it became. This event previews an album of the same title and features its artists including Mike Farris, Eli "Paperboy" Reed, Brent Smith from Shinedown and James LeBlanc. The 17th ceremony honoring outstanding work and lifetime achievement will be hosted this year by the Milk Carton Kids for the first time. Buddy Miller leads the all-star house band once again. And it’s going to be sublime, because it hasn’t failed to be yet. Lifetime awards go to k.d. lang, Buddy Guy, Irma Thomas, Rosanne Cash and the founders of Olivia Records. Confirmed performers include: John Prine, Robert Earl Keen, Brandi Carlile, Jason Isbell and the 400 Unit, I’m With Her, Nathaniel Rateliff & the Night Sweats, Margo Price, Lukas Nelson & Promise of the Real, Mary Gauthier, Anderson East, Lilly Hiatt, Tyler Childers and Courtney Marie Andrews. Big Velvet Revue, Hosted by Paul Cauthen / 10 pm to 2am at The Basement East, 917 Woodland St.
Paul Cauthen is emerging as one of the biggest voices, in every sense, of Texas country soul. Here he curates a big multi-artist cavalcade that will include: Jade Jackson, TN Jet, Aaron Lee Tasjan, BJ Barham, Sam Morrow, Whiskey Wolves of The West, Brandy Zdan, Carl Anderson, Creamer, Kirby Brown, Daniel Donato, Kashena Sampson, Wade Sap and Carson McHone. AMA Instrumentalist of the Year nominee Jerry Pentecost will get up from one drum set backing the Honors & Awards house band and head over to Mercy Lounge to lead the backing band for a celebration of CCR’s debut and outstanding career. Performers include Alejandro Escovedo, Fantastic Negrito, Aaron Lee Tasjan, Nicki Bluhm, Lilly Hiatt and more. 4 pm at RCA Studio A, 1611 Roy Acuff Pl. Dave Cobb, the busiest and most successful producer in Americana music over the past five years helped Brandi Carlile steer her acclaimed and multi-AMA Award nominated album By The Way I Forgive You. Conversation and performance. RSVP recommended. Queer Roots / 5 pm to 8 pm at the Crying Wolf, 823 Woodland St. The LGBTQ community is more visible and creative than ever in roots music across the board and here, for the first time, AmericanaFest features a night embracing a set of voices that we need to hear. Patrick Haggerty, who released a frankly gay country album in the 70s plays with his band Lavender Country. Plus Little Bandit, Amythyst Kiah, Mercy Bell and surprises. Presented by Rolling Stone Country, The Change Project, BriteHeart and HearthPR. We’re biased of course, but this is going to be a stellar show. Jim Lauderdale and the usual hosting team are on hand for a live broadcast and webcast via WMOT 89.5 and WMOT.org. Featured artists are E. Nashville glam roots from Aaron Lee Tasjan, star songwriter Lori McKenna, introspective William Fitzsimmons and British country soul dynamo Yola Carter. Activism, Commerce and the Soul of Americana: Two Case Studies / 3 pm to 6 pm at the Analog at the Hutton Hotel, 1808 W. End Ave. There are plenty of panels at AMA but this one is extra ambitious and keyed to the times. Nashville’s Jewly Hight moderates a conversation about making change in a variety of contexts, from studio to street. Featured: activist/soul songwriter and performer Rev. Sekou, consultant Shawna Cooper, executive Gina Miller and mother/daughter duo Tekitha & Prana (O.N.E.). The off-campus venue is comfortable and conducive to a revelatory experience. You don’t turn 20 every day, and New West has been one of the most significant contributors to the concept and canon of Americana music over the past two decades, with key releases by Buddy Miller, Drive-By Truckers, Steve Earle and others. Full sets by Buxton, American Aquarium, Aaron Lee Tasjan and Richard Thompson. A Tribute to 1968 / 8 pm to midnight at The Basement East, 917 Woodland St.
A long extravaganza divided into four “seasons” in which a variety of leading artists perform songs in chronological order from one of the most tumultuous, consequential and musical rich years in American history. The repertoire will tap The Byrds, Johnny Cash, Joan Baez, Otis Rdding, Aretha Franklin and more. Performers will include: Adam Wakefield, Carson McHone, Sugaray Rayford, The Band of Heathens, Yola Carter, Luke Winslow-King, Ron Pope, Creamer, Emily West, Jon Latham, JP Harris, Mike Farris, Ruby Boots, Jay Buchanan (Rival Sons), Whitehorse, Cordovas, Guy Davis, Erin Rae, Jason Eskridge and more. The Whiskey Wolves of the West will host and compliment a house band. 11 am to 4:30 pm at White Avenue Studio, 2517 White Ave. The Gulf Coast plays a subtle but important role in shaping the sound of Americana, and it remains a hub for artistry. They can’t bring the sea air, but expect all the breezy vibes of Mobiel with sets by Will Kimbrough, Ross Newell of the Mulligan Brothers, Lisa Mills, Eric Erdman, Molly THomas & Rick Hirsch and Paw Paw’s Medicine Cabinet. 11 am to 6:30 pm at The Filming Station, 501 8th Ave. S.
A wildly eclectic lineup covering two states plus a live shoot with BBC star DJ Whispering Bob Harris should make this a fun all day hang. Beer and hot chicken as well. Performances by Robbie Fulks with Linda Gail Lewis, Beth Nielsen Chapman, Mike Farris, The Wandering Hearts, The Accidentals, SHEL and more. 2 pm to 5 pm at The Station Inn, 402 12th Ave. S.
For a decade now, Berklee in Boston has been a sought-after finishing school for roots musicians looking to stretch out and master deep aspects of their craft, including Chris Pandolfi, Sierra Hull and Molly Tuttle. Catch some future stars at this afternoon hang. 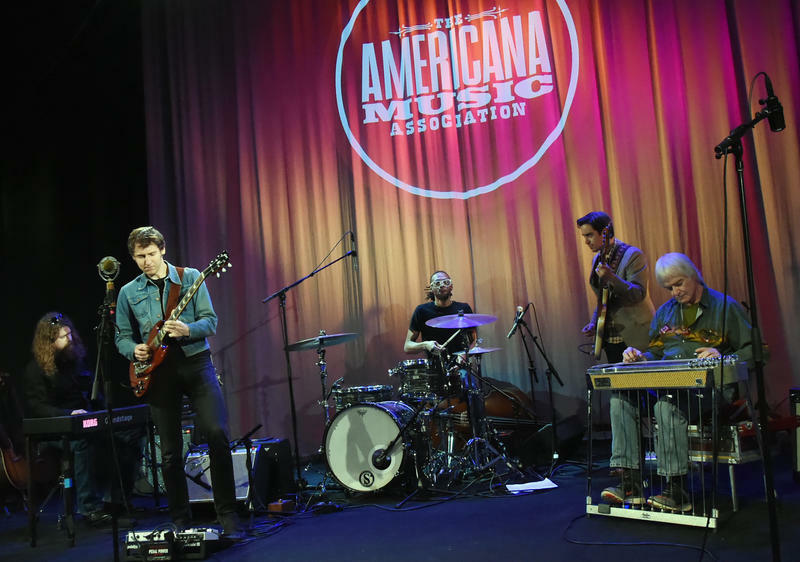 It’s a format that generally favors songwriters and veterans, but young instrumentalists were given starring roles at the nominations announcements for the 17th annual Americana Honors & Awards on Tuesday.